Fans of Mobile Suit Gundam will be pleased to hear that Sunrise have brought back Mobile Suit Gundam: Char’s Counterattack on their global Gundam YouTube channel called GundamInfo. 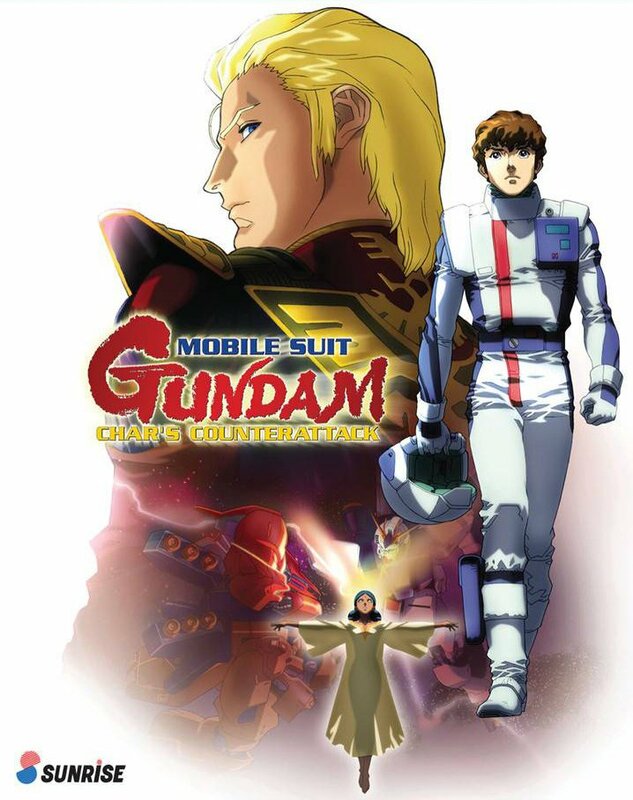 Mobile Suit Gundam: Char’s Counterattack is the continuation to Gundam 79, Zeta Gundam and Gundam ZZ, and the conclusion to the Amuro Char saga. The timeline is set in the Universal Century and once you’ve finished the film there are also many other titles set within the same verse that you can explore afterwards including Gundam F-91, Gundam Unicorn, Gundam Origin, and Gundam Thunderbolt. Oceania: Fiji, French Polynesia, Micronesia, New Caledonia, Papua New Guinea, Samoa, Solomon Islands, Tonga, Vanuatu. Universal Century 0093. Thirteen years have passed since the events of the original Mobile Suit Gundam series. But the foundations of peace are once again threatened by a new Neo Zeon army led by the notorious Char Aznable! Their ultimate goal is to initiate a nuclear winter upon Earth ushering in a new age of mankind into space. Armed with the state of the art Nu Gundam mobile suit, Amuro Ray and the Federation forces are all that stand against Neo Zeon. Driven by vengeance, duty and love, the final battle between rivals Char Aznable and Amuro Ray is at hand. GundamInfo is dedicated to offering select Gundam series available for free with no extra cost and folks can check out a couple classics including Mobile Suit Zeta Gundam, Mobile Suit Gundam Wing and even the entire Gundam Build Drivers franchise with simulcasts for Gundam Build Divers available also. English subtitles are available for all of these as well as other subtitle languages whenever available. Anime Limited are handling the Gundam franchise for the United Kingdom, Ireland and France with select Gundam available on Blu-ray: Mobile Suit Gundam, Mobile Suit Zeta Gundam, Mobile Suit Gundam ZZ, Mobile Suit Gundam the Origin I-IV and coming soon Mobile Suit Gundam Thunderbolt and Mobile Suit Gundam 00. Mobile Suit Gundam Movie Trilogy and Gundam Reconguista in G were also released, but are currently out of print in the meantime. We also have a quick round-up of other Gundam titles that are available for UK legal streaming too! The latest instalment in the Gundam Build Fighters universe begins airing this Spring 2018 season!